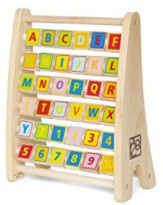 innovative design gives the abc's a playful twist with items that match the letters on the back of each tile. 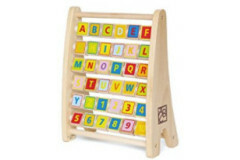 develops motor skills and stimulates imagination in toddlers 3-5 yrs. toy finishes are all non-toxic baltic birch, maple and rubberwood.